The Harvesting of Broccoli: Finally! is an apt truism when it comes to growing and harvesting broccoli. Broccoli is not the type of vegetable to give you instant gratification. Broccoli makes you wait. 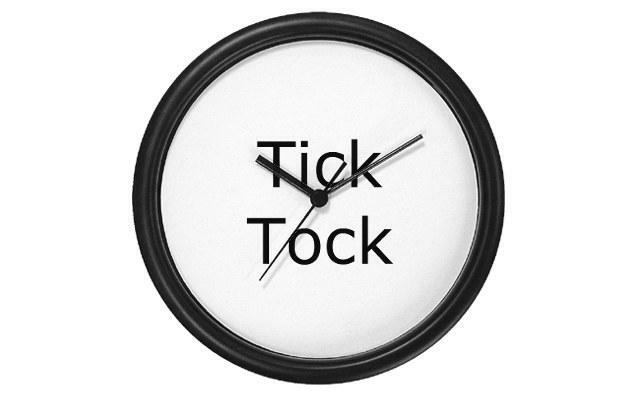 . . and wait. . . and wait. There are many who give up thinking that their crop is a bust because the leaves get big, but no florets are seen. But, that’s just broccoli taking it’s own sweet time. You can’t hurry love, you can’t hurry a kettle to boil, and you can’t hurry broccoli to harvest. 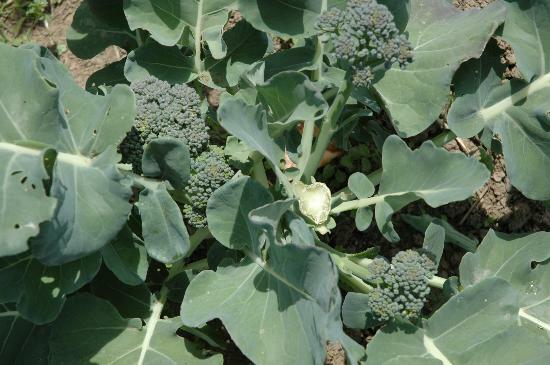 Harvest broccoli when the buds of the head are firm and tight before the heads flower. You’ll know if the heads are starting to flower, because you’ll notice some yellow beginning to peek through. Most varieties have side-shoots that will continue to develop after the main head is harvested. You can harvest from one plant for many weeks, in some cases, from spring to fall, if you’re summer isn’t too hot. Cut heads from the plant, taking at least 6 inches of stem. Make sure to leave some stem so side-shoots form. Cut the stalk of the main head at a slant, about 5 to 8 inches below the head. Why? Because it helps the rain to run off the stalk and lessen the chance of rot or pest infestation in the plant. 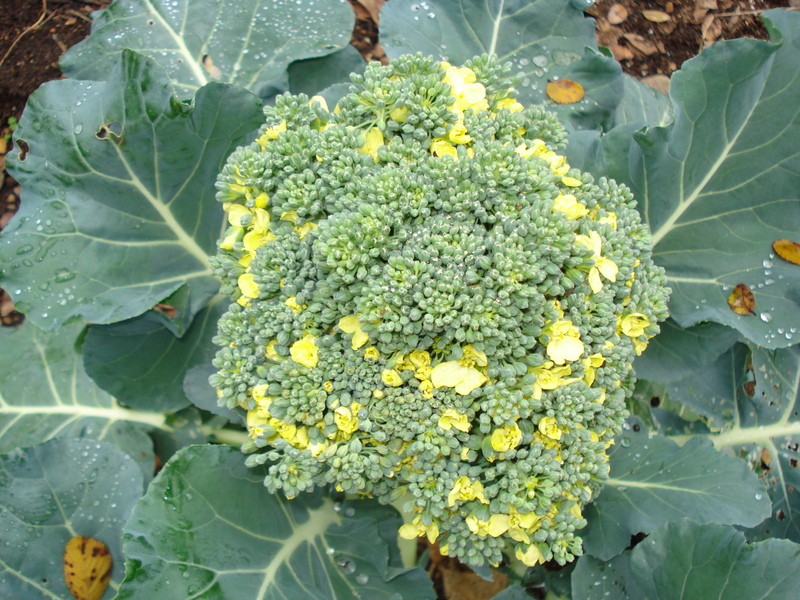 Store broccoli in the refrigerator for up to 5 days. If you wash before storing, make sure to dry it thoroughly. Up next, a rant on pests. . .
We just had some broccoli and cauliflower for dinner. I love it roasted with a little olive oil, salt, and smoked paprika over the top. Very very tasty! But for growing it, we’ve had some problems in the last few years. This year, only a few seeds sprouted and what grew was eaten by slugs. Way to go on being able to harvest it. You must be doing things right! Just a note to help stop the slugs, completely rinse clean a few egg shells, crush ( but not to fine ) and sprinkle around the base of each plant, seems they don’t take to kindly to the sharp edges. I admit it is a bit time consuming if you have a large garden, however it has helped quite abit in our little piece of goodness from the ground! Hope it works for you too! HAPPY GARDENING!